You have two options: you can either join team BRIDE or you can die. Pick your poison! 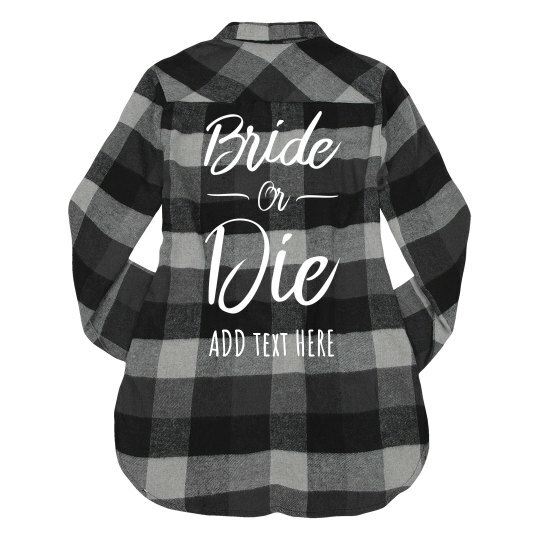 Snag this awesome plaid flannel for all of the ladies to wear to your bachelorette bash.